Nielsen, a global measurement and data analytics company, revealed the latest research: Future Opportunities in FMCG E-commerce and it painted us the clear picture about how the business environment in FMCG industry has been changing. How to achieve success with online marketing? And how to handle the next challenges? We concluded them all into this two-page article so please read it carefully! 1. 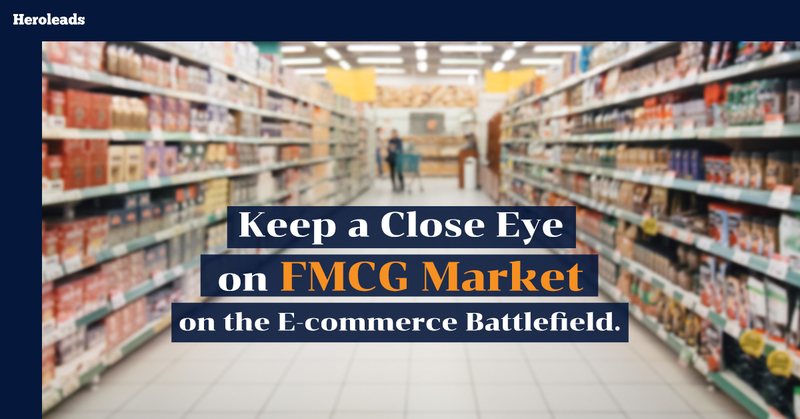 FMCG online growth keeps outpacing offline growth while most retailers and manufacturers need omnichannel strategies (utilisation of mixed media through offline and online channel) to generate the best experience and ensure future success. 2. To support FMCG growth on e-commerce platform, we need foundational infrastructure in place such as high penetration levels for bank accounts, internet access and smartphone uptake. 3. Market size, business landscape, postal reliability, trusting people and a savings-conscious society will be significant factors to bring FMCG businesses to greater success. Moreover, a market which is value conscious and actively pursues good deals has a higher tendency to go online. China has a high household savings rate, and consumers are enticed to cheaper prices, as reflected by the incredible success of Black Friday, the world’s biggest shopping day. 4. Amazon and JD.com, the gigantic e-commerce players, made their appearance on a market and created a ‘snowball effect’ to empower the other online FMCG players. 5. Online FMCG sales are set to double globally over the next five years and will grow twice as fast in developing markets. 6. By 2022, Nielsen forecasted that FMCG e-commerce sales will dramatically increase globally to US$ 400 billion. 7. The Asia region is expected to generate the biggest growth for the online FMCG market over the next 5 years. These number would be a benefit to FMCG players: from SMEs owners, retailers to manufacturers, and allow them to set their future market and achieve a brighter future. Let’s update the insight before anyone by clicking www.facebook.com/heroleadsthailand/ or contact our digital experts by clicking the link below.